A Chief Magistrate’s’ Court in Nasarawa State today sentenced a driver, Remijeous Ayomide, 22, to four months imprisonment for stealing two generators from a church generator room. Ayomide, who resides at Mammy Market, Mararaba, was convicted on a two-count charge of house-breaking and stealing. The Magistrate, Mr Patrick Epu, who convicted Ayomide, said that he has no fear of God. “What made you steal in a place of worship, does it mean that you don’t fear God again, what gave you the mind to enter a church and steal the generators. “Your punishment would have been more severe if you have not admitted your guilt and ask for leniency, and also because you are a first time offender, ’’ the magistrate said. Epu, however, granted the convict N 4, 000 option of fine. Earlier, the prosecutor, Olusegun Fabiyi, told the court that matter was reported by one Asmbo Philemon, of Koroduma in One Man Village, Nasarawa State on July 24. Fabiyi said that Ayomide broke into the generator room of Christian Pentecostal Mission Church, at Mammy Road Mararaba and stole two generators valued at N120, 000. 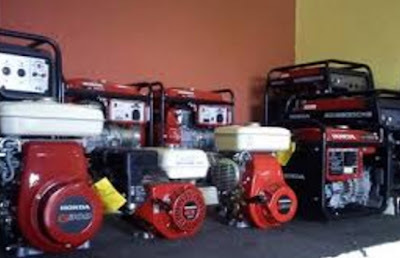 He said that the police during investigation found the two generators in the possession of Ayomide. “The two generators were recovered in the possession of the accused and he was arrested by the police,’’ he said. Ayomide pleaded guilty to the offences and begged for leniency and forgiveness. “I don’t know what come over me, I am sorry for what I did, I will not repeat such act,’’ he said. The offences contravened Sections 347 and 288 of the Penal Code.